Nicole Marques received her Juris Doctor from the University of San Diego School of Law in December 2011. 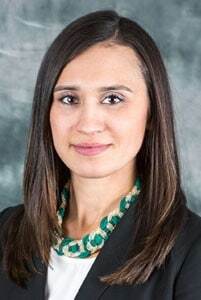 While at USD, Ms. Marques was the Lead Articles Editor for the San Diego International Law Journal, participated in the USD Legal Clinics, and was a member of the Phi Delta Phi International Legal Honor Society. She earned her bachelor’s degree in Comparative Literature from Princeton University, and is fluent in Brazilian Portuguese. Prior to joining Brown Chiari, Ms. Marques gained experience in the areas of U.S. Immigration and general litigation, and served as a contributing editor of the Guide to State and Federal Drug-Testing Laws, published by the Institute for a Drug-Free Workplace. Ms. Marques is admitted to practice in New York and Virginia. She is a member of the American Bar Association, New York State Bar Association, and Erie County Bar Association.